For businesses Kinetico’s Dechlorination System enhances drinking water, beverage and ice cubes by removing chlorine from the water. Without chlorine in the water, beverages, recipes, ice cubes and drinking water have a pure, refreshing taste. While for homes, our single-tank unit is a simple solution for whole-home chlorine removal. It’s the perfect addition to a Kinetico water softener installed on a chlorinated water supply. How are the Dechlorination Systems different? The single-tank Dechlorinators are ideal for drink stations for businesses or for homes with lower water flow demands. 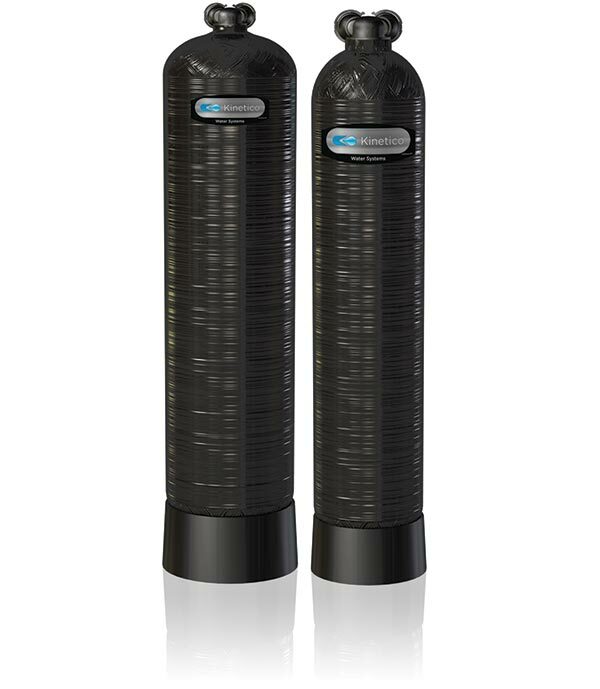 The dechlorinator can be installed alone for dechlorination only or with a Kinetico Water Softening System. The system offers a continuous supply of dechlorinated, soft water. Enables the system to regenerate with dechlorinated, soft water. The system provides chlorine-free water to every faucet in your home or business, while also protecting your water softener from the harsh effects of chlorine.